I told you we just might have a surprise for this week. 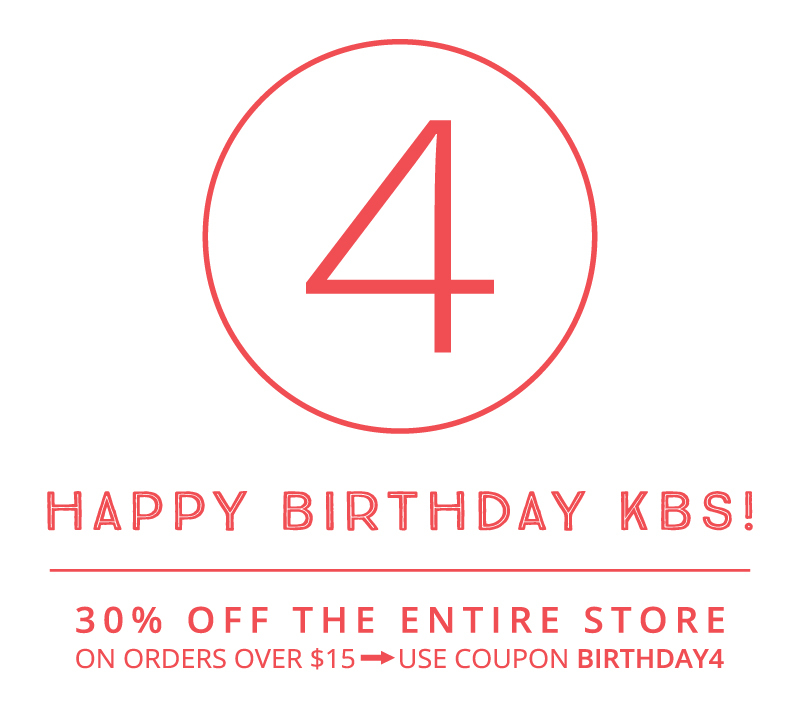 It’s a KBS birthday just for me…and you! I think this is one of my best KBS birthday presents ever. Last week Miss Maggie Massey came to visit my ‘house’, and now, I need to clean out a room because she is movin’ in and here to stay! I am so excited to have her here as a KBS Creative Team Member. I can’t wait to see what great things her creative little mind will come up with. because she’s got something to share with us today! I love the unique way Maggie created her project. Love that she used the sketch pens in conjunction with a cut. Just a fabulous way to make something different from your regular ol’ diecuts. Love the unique gift packaging…it’s just awesome! I really enjoy trying to think outside the box when it comes to projects like this…I love trying to see if I can use the files in unconventional and fun ways! When it comes to decorating packages I like to try to make my own wrapping paper and embellishments…and Kerri’s backgrounds are the perfect place to start! I used my Silhouette Sketch Pens to draw a background onto my paper and then I colored in the negative space with my Neocolor Crayons. For the feathers, I first sketched them out…again with the Silhouette Pens…and then went back in an cut them out using the offset function on the machine. Finally I colored around the outside of each feather. PNG files are probably my favorite kinds of files to work with because I can change the shape, color, or background of the design. That’s exactly what I did with Kerri’s ‘LOVE THIS’ card in the new Beautiful Somewhere Collection. I enlarged the card, cropped out the middle circle, colored everything black and cut it out. Then I simply adhered it to a doily and added it to my package! And just a reminder…don’t forget to catch the sale going on. Awesome! I love Maggie’s work!! !